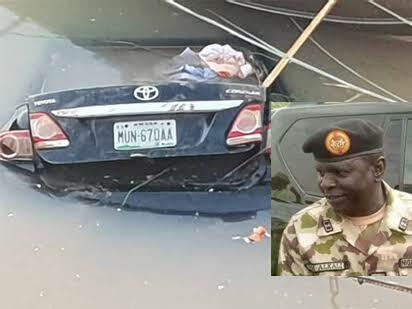 The Joint Task Force constituted by the chief of army staff, Lt Gen TY Buratai, has found the vehicle belonging to Maj Gen. Idria Nur Alkali (rtd), at a pond in Paddock area of Lafendeg Du, Plateau State. The joint task force comprising of officers and soldiers from 3 Division Quick Response Team, Operation Safe Haven, Nigeria Police Force, Vehicle Inspection Office, Fire Service, as well as local divers, found the vehicle yesterday after weeks of searching for the missing general. The army general went missing after leaving his house in Abuja on Monday 3/09/2018 for Bauchi where he has a farm but is yet to be found. He was alleged to have been kidnapped in Plateau state. 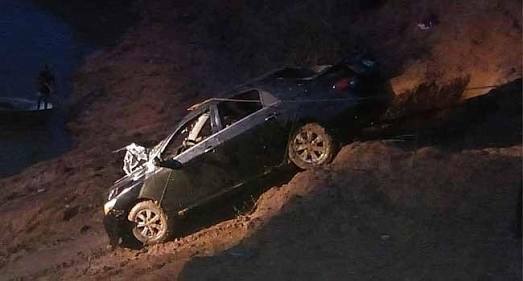 Due to the terrain in the general areas of Paddock in Lafendeg Du, Plateau State, the task force consulted a Chinese construction company working in that area who promised to assist in drilling out water from the pond where it was suspected that the vehicle belonging to the senior officer was pushed into.